The requirements for Church leaving insisted upon by the Polish bishops go far beyond what’s demanded in countries where this would not be tolerated. The grief and shame caused by these rules can mean that one must wait until one has left home — or even until one’s grandmother has died. 1. With the act of holy baptism a man becomes indelibly instilled into the Church community CCC (Catechism of the Catholic Church) 1213, Code of Canon Law, canon 96; 849), where he has rights and duties. The Catechism of the Catholic Church states: “Those who have been baptised, born again (through the act of baptism) as God’s children, are obligated to give witness before people of the faith that they have received from God through the Church, and to take part in the apostolic and missionary activity of God’s people” (CCC 1270). 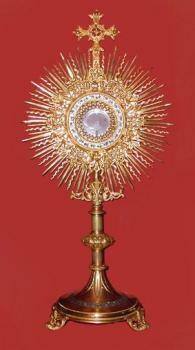 One of the main duties of the faithful in relation to the Church is to maintain communion with it (canon 209 §1). Persons baptised in other Churches and Christian communities are also members of the Catholic Church if they expressed their will to join it and were accepted into it. 2. Those who, having the Spirit of Christ, accept the rules of the Church together with all the means of attaining salvation set by it, and who remain in its visible body in communion with Christ, who rules the Church through the pope and bishops, in communion consisting of the bonds of faith, sacraments, the authority of the Church, and unity, are full members of the Church. These are the visible bonds of communion (CCC 815, 837). 3. A Catholic who commits the act of apostasy from the Church, either as an apostate who totally abandons the Christian faith (by joining a non-Christian religion or remaining outside of any religion), or as a schismatic who refuses to accept the authority of the Bishop of Rome or to maintain communion with members of the Church who respect his authority, in the most drastic way contravenes the obligation to preserve communion with the Church (canon 751). The Church is hurt by every sin, particularly when its baptised members leave the community, and, following the example of merciful God, with love in its heart awaits and welcomes those who come back to it. For this reason those in danger of committing this act must be lovingly taught and encouraged to abandon their decision to leave the Church, with respect, however, for their natural right to choose their own way of life. 4. The declaration of will can only be considered an act of formal defection from the Church when accompanied by an inner desire of the Catholic who submits the statement, properly (i.e. in a manner not subject to any doubt) expressed, observing the legal requirements. 5. The act of apostasy that has canonical consequences can only be performed by a person who is of age (canon 98 § 1 and 2) and has legal capacity, in person, in a conscious and free way (canons 124-126), in writing, in the presence of the priest of the parish where he resides (permanently or temporarily), and two witnesses who are of age. It is recommended that, if possible, at least one of the witnesses is a parent or a godparent of the apostate, and has accompanied him when he was originally brought into the Church. 6. For the act of apostasy to be deemed to have canonical consequences, it has to be performed personally by submitting a signed letter in which the apostate clearly states his wish to leave the Church. The declaration should also contain personal details of the apostate and the witnesses, his motivation, and the accurate details of the date and the parish where he was baptised, and should be accompanied by his baptismal certificate. The letter should also contain the statement that the apostate performs this act of his own free will and in full recognition of its consequences. 7. A statement submitted to a state official or sent by mail or electronically has no canonical consequences. 8. When the parish priest receives an information about the intention of one of his parishioners to leave the Church, he should ascertain, in a personal and caring pastoral conversation, the real reasons for his decision and should, with love and prudence, make efforts to dissuade him from his intention and to awaken the faith instilled in the sacrament of baptism. 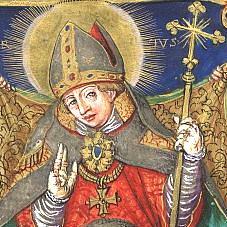 For this reason, on principle, an act of formal defection – if it is to occur despite the efforts made – should not be completed on the day when the person who wants to defect from the Church signals his intention to the priest, but only after a length of time which the parish priest, prudently, gives him to consider this step, so serious in canonical consequences. 9. The parish priest has a duty to inform of the canonical penal consequences of a formal act of defection from the Church, the first being the penalty of excommunication latae sententiae, incurred by the apostate (canon 1364 §1). The canonical consequences of this penalty are: the inability to conduct and to receive the sacraments and to conduct sacramentals; ban on ministerial participation in religious rites; ban on performing functions in the Church (inc. acting as godparent, witness of confirmation, witness of marriage, member of Church and Catholic public associations, movements and organisations etc. ); denial of Church burial (see canon 316 §1; 874 §1, 4°; 893 §1; 915; 1184 §1, 1°; 1331). 10. In addition, if appropriate in the circumstances, the parish priest should inform that persons who committed a formal act of apostasy cannot participate in the canonical form of marriage (canon 1117). If such persons intended to marry a Catholic, they would be subject to provisions in canons 1071 §1, 4° and 5°; 1124 and in the Instruction of the Polish Episcopal Conference about the preparation for marriage in the Catholic Church. 11. At the same time it should be explained to the person concerned that baptism is an event which it is not possible to expunge from a person’s history and for this reason it is not possible to delete it from the register of baptism. Should somebody cite the Personal Data Protection Act, it should be explained to him that it does not apply in this matter: the data contained in the register of baptisms, as a proof of the sacraments received, are essential for the Church’s own objectives. 12. Following the pastoral conversation (see points 8-11) and the examination of the proof of identity documents of the apostate and the witnesses, and a check that the declaration of apostasy contains all the required data, the parish priest certifies the document with his signature and the parish stamp, and dates it. The priest sends a certified copy of the document to his diocesan curia. If the diocesan curia finds no new circumstances, it recommends that the priest of the parish where the apostate was baptised (also in the case where the apostasy takes place in the parish of baptism) makes a note in the parish register of baptisms. If the apostate was baptised in a parish belonging to a different diocese, the diocesan curia sends the information about the defection from the Church to the diocesan curia of the apostate’s baptism. The parish priest of the parish where the apostate resides has a duty also of making an appropriate note in the parish register. It should be ensured that an analogous note is made in the duplicates of the register of baptisms. Documentation pertaining to the apostasy, particularly the original declaration of the apostate, should be kept in the archives of the parish where a formal act of defection was made. 13. An Ordinary can decree the penalty of excommunication incurred, in conformity with the appropriate provisions of the law (canon 1364; 1342; 1717-1728). 14. The note made in the register of baptisms on the margin of the entry relating to the apostate (see canon 535 § 2) should read: “On this day…….. in the Parish of ……… defected from the Catholic Church by a formal act”. This note should be made on the baptismal certificate. 15. The baptismal certificate with an appropriate note is the sole document confirming a formal act of defection from the Church. 16. In the case when a curia or a parish receives from abroad information about a defection from the Church presented to a secular authority, no note is made in the register of baptisms. The notification should be kept in the parish archives and, when the occasion of a personal conversation with the interested person arises, the matter should be taken up with seriousness, observing all the requirements of this document. 17. If there is a note in a register of baptisms, made before the publication of this document, about a defection from the Church of those, who have declared the defection to a secular authority, such note should be treated with due consideration. If, from the knowledge about the person, it is clear that despite the declaration they had no actual desire to defect from the Church, the curia should be contacted with a request to delete the note in the register of baptisms. If the matter arises on the event of a funeral, a Catholic funeral can be given in a form decided by the parish priest if the way of life of the deceased person suggested that they had no intention of breaking from the Church communion, or if before death they gave signs of repentance (canon 1184 § 1). 18. Despite an act of apostasy, the indelible consequence of the sacrament of a holy baptism (canon 849) remains. An apostate who wants to come back to the Church’s communion contacts his parish priest. Following a suitable preparation, he can be readmitted to a full communion with the Catholic Church. The matter should be then referred to the diocesan curia. Only an Ordinary can lift the penalty of excommunication hanging over the apostate, in conformity to the provision of canon 1357. After the penalty is lifted an appropriate note should be entered in the register of baptisms. The person re-entering a full communion with the Catholic Church should make a profession of faith according to the approved rite (“The Rite of Christian Initiation of Adults” – appendix). 19. If the apostate, in the period when he was outside of the Church communion, entered into marriage in any form, the matter should be referred to the diocesan curia in order to establish its canonical status. 20. In mortal danger, the prohibition on receiving sacraments by the apostate is suspended. In that case, the excommunicated person can receive sacramental absolution and the Anointing of the Sick, and receive Holy Communion (canon 1352 § 1) if they ask for it of their own free will and show repentance. When the mortal danger passes, the procedure described in point 18 should be followed. 21. The faithful are strongly encouraged to continually foster and strengthen their bond with the community of God and to courageously give witness to the faith so that various difficulties, stresses and crises of the earthly life can be more effectively overcome. 22. All the faithful are called on to pray for those brothers and sisters who, like the lost sheep of the Gospel, moved away from the Church communion, for them to return to the path of unity in faith, the sacraments and the authority of the Church.